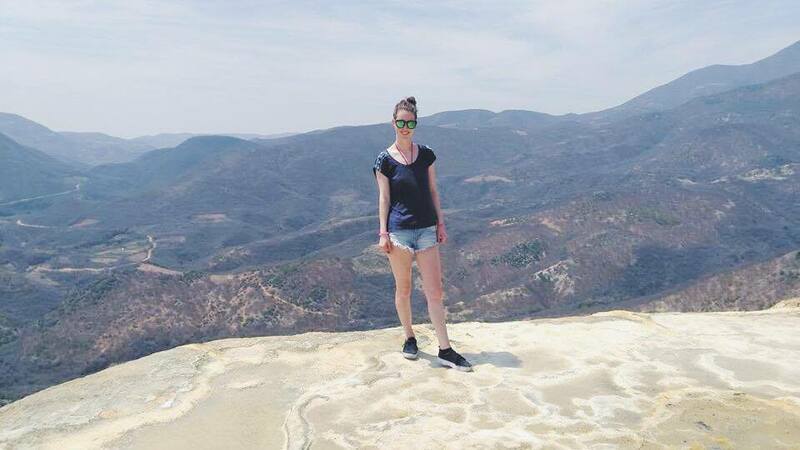 Swimming in natural mineral pools, basking in the Mexican sunshine and doing a spontaneous yoga class against the panoramic views of Oaxaca's central valley. These were just a few of the things I got up to on my trip to Hierve el Agua, or 'water that boils' as the name translates to in English. 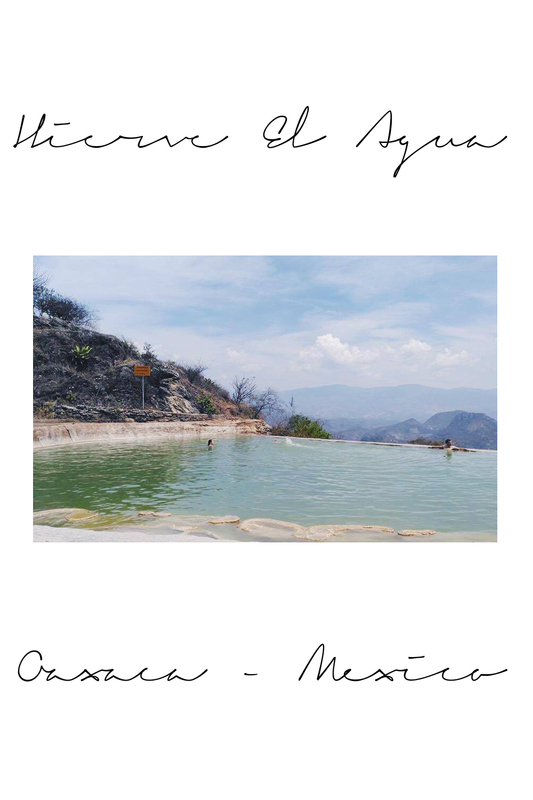 This area of stunning natural beauty is home to two natural mineral springs set against the mountainous Mexican countryside. The turquoise water glistens in the sunshine, inviting hot and weary visitors to soak in the healing waters whilst enjoying the picturesque views of the frozen waterfall rock formations that have built up on the side of the cliffs over thousands of years. Hierve el Agua is also a must see eco tourism site with great hiking trails that take you right to the base of the rock formations. On a hot sunny day, it is possible to try climbing the rugged cliff face if a daring mood srikes. 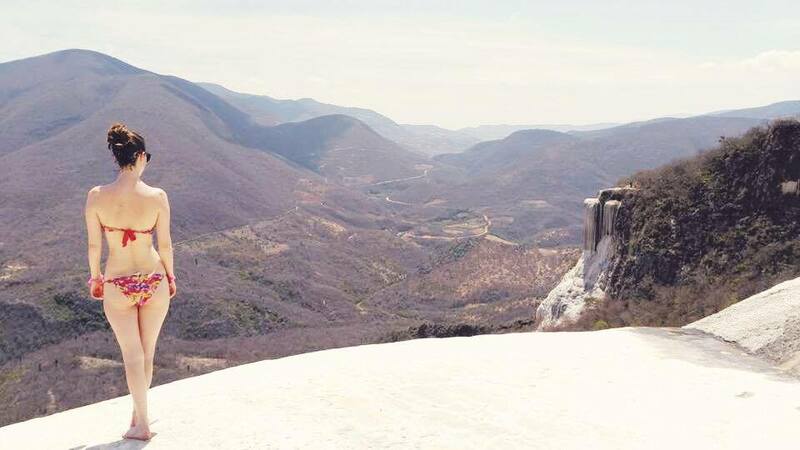 This secluded patch of Mexican soil was certainly up on the list of highlights from the trip and I urge any visitors to Oaxaca to take time to see it. What are your must see sites in Oaxaca?